As a case study I go back about 3 years ago to Dublin, New Hampshire along route 101 near Keene. 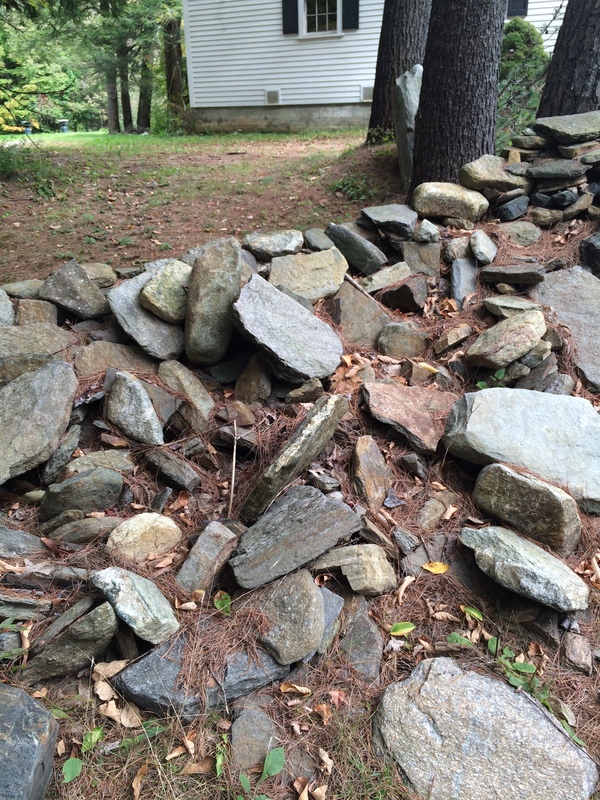 I was passing through the area I noticed this beautiful dry stack stone wall (no mortar). 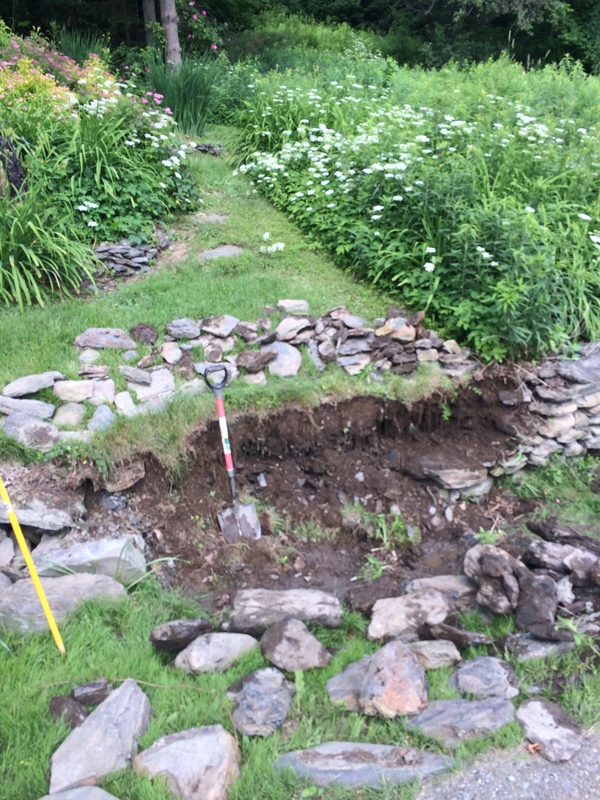 It was beautiful until I got to the last 30 feet which was now just a pile of rock. 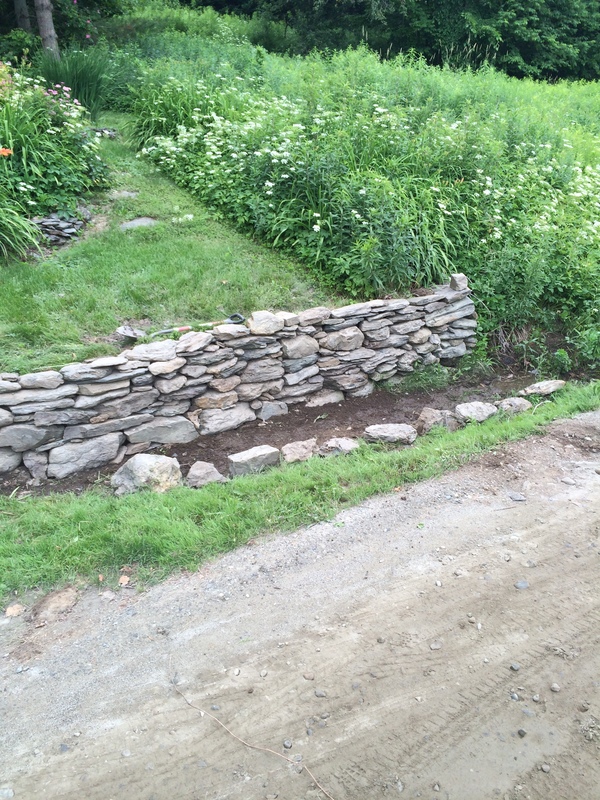 When this wall was built route 101 was probably nothing more than a local road between Peterborough and Keene. Now it is a major trucking route between Manchester and points west. The vibration of the trucks passing through was probably never envisioned by the craftsman who put this wall up. I came to an agreement with the owner and went to work. 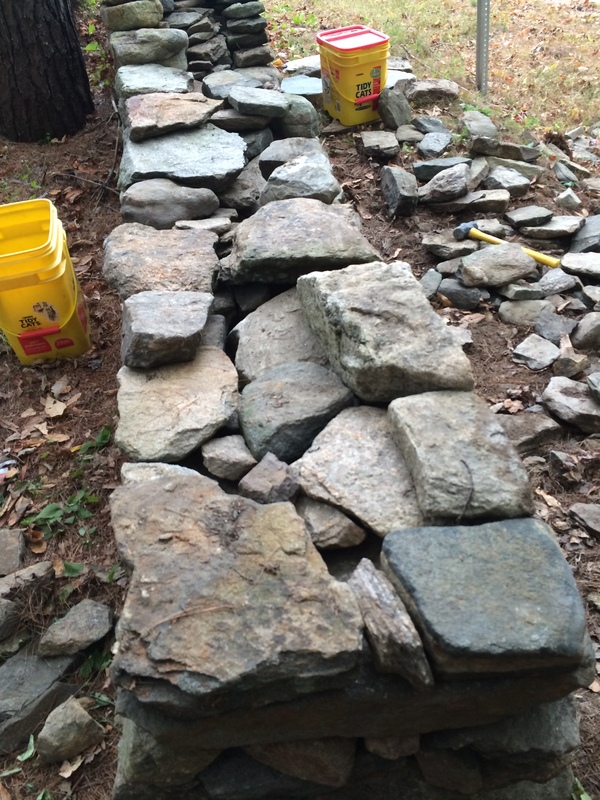 I added many more through stones to cross brace the wall to help stand up to the trucks. The results can be seen here. 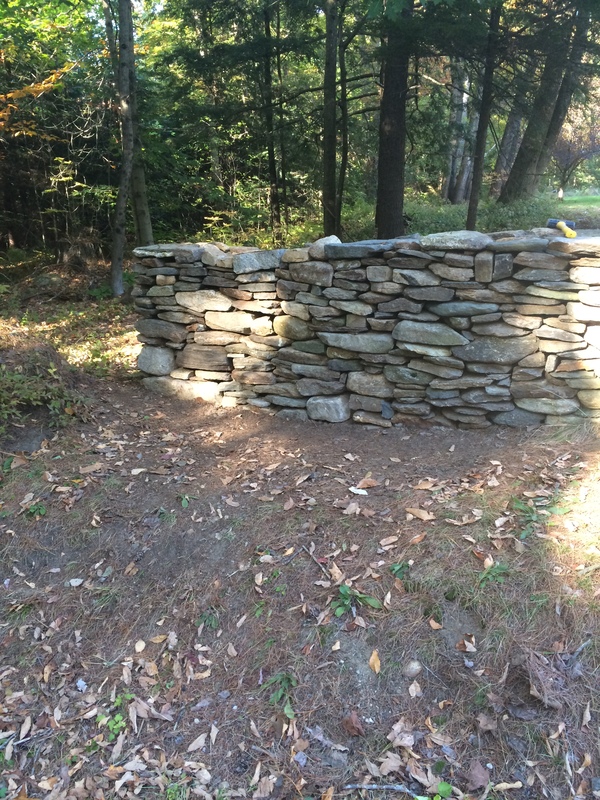 Round river rock wall built lakeside in Western Maine. 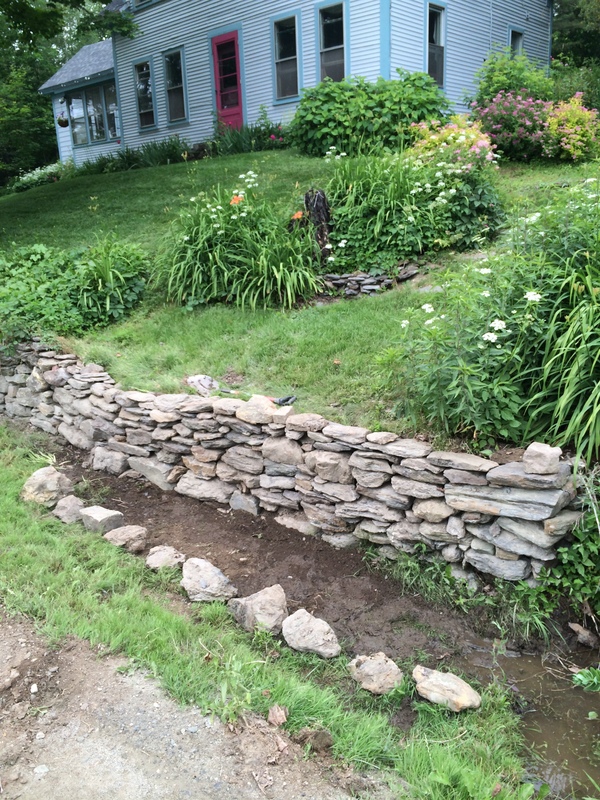 40' two sided wall built in Northfield, VT.